Property flipping, or house flipping as some people call it, can be a lucrative way to earn money in real estate—if it’s done right. Since it requires a sizable investment of your own money, becoming a property flipper can also be a risk that doesn’t always reap rewards. Many people get into real estate, via the house flipping route, to earn a part-time income or as a way to experiment with a real estate career while discovering which real estate career path is the best for their lifestyle. If you’re interested becoming a house slipper, these steps will help you get going on the right path. Want to get started in house flipping? Here are the steps you need to take to become an intelligent house flipper. When beginning a flipping career, it’s a good idea to be the most rather than the least prepared. You don’t need your real estate license to become a house flipper but it’s a good idea to get your real estate license because it will open up more opportunities for you throughout the process. Studying for a real estate license tests lays a great foundation for house flippers of all the details, vocabulary, and forms needed to buy and sell a home. When buying and selling a home, it’s all about the Multiple Listing Service (MLS), which is the place to go for accurate information on properties for sale and properties sold. Real estate brokers can provide invaluable advice and support to newbie house flippers. Will you get financing for this property or pay the total price up front? If you’re taking out a mortgage on the home, what monthly payments can you reasonably afford after you factor in the cash costs you’ll need to renovate? Will you purchase this property with the help of real estate investors or do it on your own? What are the property value trends in the areas you’re shopping? You don’t necessarily need a real estate license to flip houses, but it could be useful. 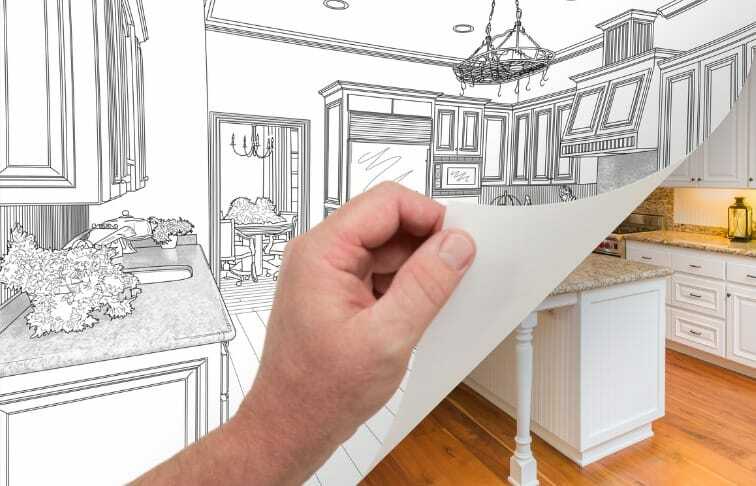 Not only could it help you get the best deals on your own personal house flipping process but it could help you earn money while you’re working on your own home. Many months go by between identifying and buying a property, fixing it up, and selling it for a profit (hopefully). House flippers who’ve obtained a real estate license can earn money buying and selling other people’s properties while they’re working on their own. And since real estate agents often work nontraditional hours—nights and weekends when clients are available—they can manage a construction site that typically starts at 7 a.m. and knocks off at 3 p.m., and earn commissions on real estate deals during off hours.